Pete Seeger turns 90 this May 3, and the paterfamilias of American folk music will be honored that evening with an all-star concert at Madison Square Garden. On the bill are performers who either sang with him during his 70-year career, learned at his knee or, like Bruce Springsteen on his 2006 release Seeger Sessions, ensured that the troubadour and his repertoire became relevant for a new generation of idealist lefties, from G20 protestors to Obama canvassers. Honoring Seeger—folk musician, musicologist, civil rights activist, antiwar crusader, and environmentalist—means honoring the progressive movement of the last century, for Seeger played a pivotal role in its watershed moments. His “We Shall Overcome” was the rallying cry of a thousand sit-ins. His unwavering dedication to the union man, the poor man, and the African-American made him suspect; but it was a brief flirtation with Communism that placed him on the blacklist in 1956, just as he found national fame singing with The Weavers. The stigma would dog his career for years. It was not until December 1994 that lefties could exult in the cosmic joke of Seeger, suddenly respectable, solemnly receiving a Kennedy Center Honor. 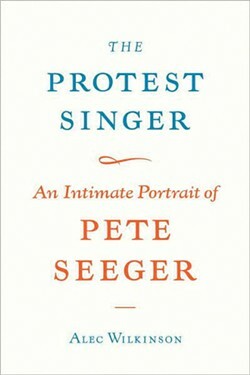 To chronicle his remarkable life and times, two new Seeger biographies have arrived. Each attempts a full measure of the icon, but tackles the formidable task in different fashions. 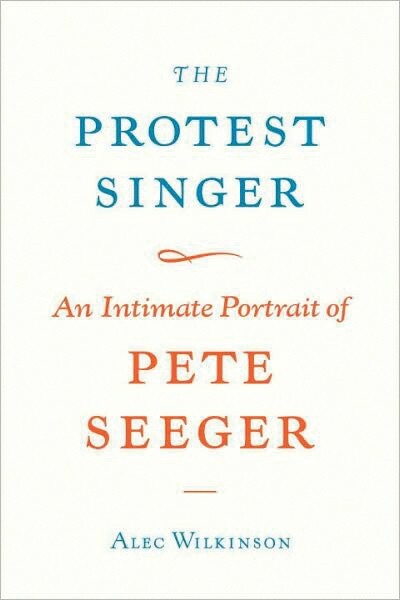 Both authors—Winkler, a college professor, and Wilkinson, a writer for the New Yorker—have done their homework: Seeger’s trajectory from patrician schoolboy to railcar hobo to ambassador of world peace, is laid out vividly. Winkler’s book is rife with secondary sources and prepublished material which creates a dense exoskeleton for the interviews he conducted with Seeger. The copious notes are a boon to future scholars. 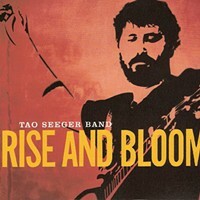 Seeger is notorious for his aversion to self-reflection. Winkler’s and Wilkinson’s success in drawing his candor during many visits to his Beacon homestead is a laudable accomplishment. That openness is markedly missing from Jim Brown’s 2007 documentary Pete Seeger: The Power of Song; the PBS film ably canonizes its subject, but never burrows beneath his saintly surface. To Everything There Is a Season is often more history lesson than character study. Moreover, Winkler’s narrative dips repeatedly into congenial cliché (“Seeger wanted to use music—his kind of music—to make the world a better place”.) Curiously, Winkler’s best material comes in a lengthy afterward, when he loses the flat professorial voice and discusses the process of interviewing Seeger, recounting the man’s regrets over public fame and familial neglect. (Wife Toshi managed her husband’s career and kept the family together as he spent years on the road.) An ethical issue intrudes: Winkler guilelessly admits sharing the finished manuscript with the Seegers. He accepted not only factual corrections from the couple but also suggested word changes. A biography seems to have become a collaboration and its objectivity suspect. One hopes the Madison Square Garden birthday party finally quashes those self-doubts.